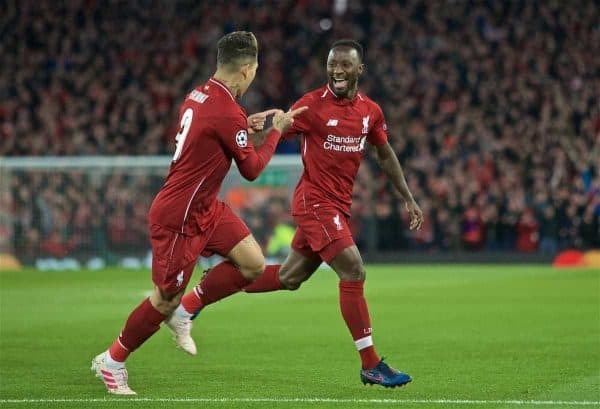 Liverpool made a great start to their Champions League quarter-final tie with a 2-0 win over Porto in the first leg at Anfield on Tuesday. Liverpool returned to European action on Tuesday night, after three successive league wins since their last Champions League outing. Jurgen Klopp made three changes to the team which beat Southampton on Friday night, with two of those in defence: Dejan Lovren and James Milner in for Joel Matip and the suspended Andy Robertson. Jordan Henderson also started in midfield ahead of Gini Wijnaldum. 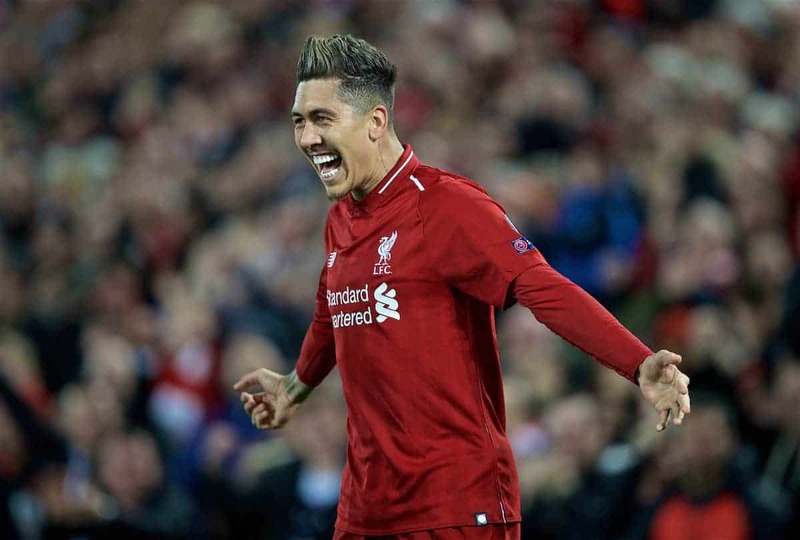 At home in the first leg once again, the Reds would have wanted to give themselves a better start in the tie than they were able to in the last 16 against Bayern Munich—though thoughts of repeating last season’s 5-0 win over Porto in the first leg had been largely banished in the build-up. 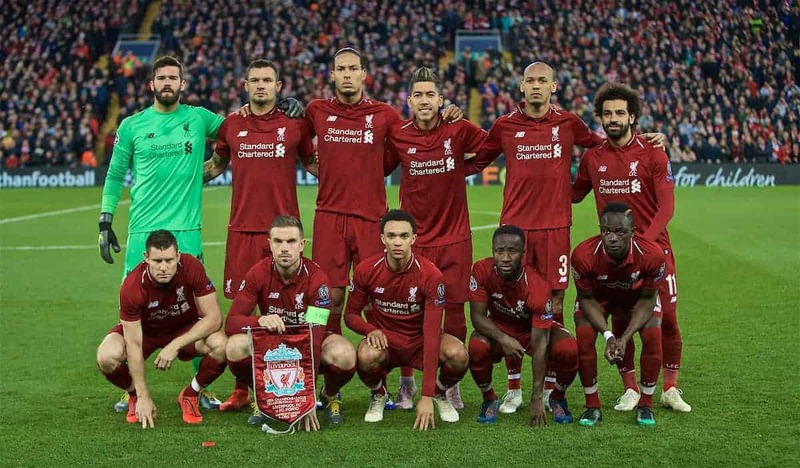 Porto themselves might have had a revenge mission on their minds but the Reds proved too good, too professional and too clinical in front of goal. 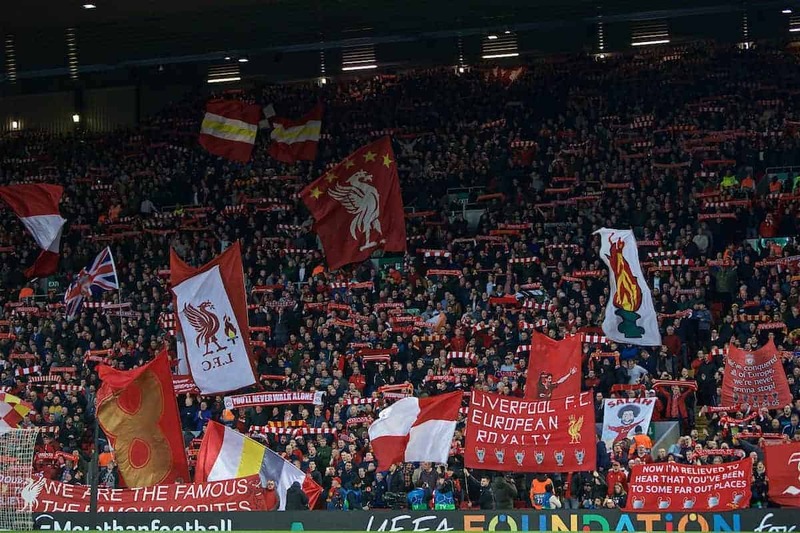 The early atmosphere at Anfield was good, with the home fans keen to encourage their players to start fast—but it was Moussa Marega who got the first shot away, flashing a half-volley wide. It wasn’t long before the Reds got on the front foot though—and Naby Keita scored his second goal in as many games with Liverpool’s first chance of the game. Sadio Mane opened play down the left before feeding Roberto Firmino in the box and he beautifully teed up Keita, who struck a deflected effort past Iker Casillas inside five minutes. Mohamed Salah received the acclaim of the Kop for some excellent back-tracking to halt a Porto counter, before he struck a half-volley at goal, saved by Casillas. Marega, meanwhile, was giving Dejan Lovren a few problems at the other end, but Virgil van Dijk ensured a dangerous cut-back ended in a strong block. Midway through the half, Salah latched onto a short backpass and should have doubled Liverpool’s lead—but skewed an effort wide with just Casillas to beat. Untroubled, Liverpool did exactly that before the half-hour mark. Jordan Henderson played a superb pass down the right channel, Trent Alexander-Arnold surged in behind the Porto defence and laid a cross along the six-yard box, confidently swept home by Firmino. Porto immediately launched a swift attack which saw Marega one-on-one with Alisson—but the Reds’ keeper made a big save with an outstretched leg. There was a moment of worry just after as Porto claimed handball, a claim waved away by a VAR review. Half-chances continued to come at either end, but the Reds led by two at the break. The second half started with the Reds immediately on the front foot and Henderson swept a brilliant cross over which Mane finished on the volley—but it was ruled out for a marginal offside. At the other end, a mix-up between Alisson and Van Dijk led to some unwanted pressure, but Alexander-Arnold twice defended the situation well. The Reds were largely comfortable in possession without pushing too much for additional chances, but Salah tried a couple of times to drift infield and aim shots at goal—unfortunately and inadvertently blocked by Firmino, then Henderson, in turn. Marega saw a near-post shot saved by Alisson and Mane curled one just off target, moments before he was the first player subbed off by Klopp, Divock Origi taking his place. Sturridge was a further late sub but the tempo of the game had dropped by this time and Liverpool didn’t look like adding a third, so the Reds could be glad of Marega’s continued profligacy. A fine start to the tie, but there remains work ahead to do in the second leg. Liverpool: Alisson; Alexander-Arnold, Lovren, Van Dijk, Milner; Fabinho, Henderson, Keita; Salah, Firmino (Sturridge 81′), Mane (Origi 71′). Subs not used: Mignolet, Matip, Gomez, Wijnaldum, Shaqiri, Origi. Porto: Casillas; Maxi (Fernando 76′), Militao, Felipe, Telles; Corona, O.Torres (Costa 71′), Danilo, Otavio; Tiquinho (Brahimi 61′), Marega. Subs not used: Vana, Hernani, A.Pereira, Leite.